Three Hearts Council 16079 at St. Mary of Pine Bluff Catholic Church was established to give Catholic men the opportunity to strengthen the parish, give back to the community, grow in their faith and gain exclusive access to our portfolio of top-quality insurance products to financially protect their families. Charity — Knights are followers of Christ and men of faith who are committed to easing the plight of the less fortunate. Unity — The earliest Knights stood shoulder to shoulder united against rampant anti-Catholicism. Today Knights stand united promoting religiously rooted moral values in a world that often forsakes those values. 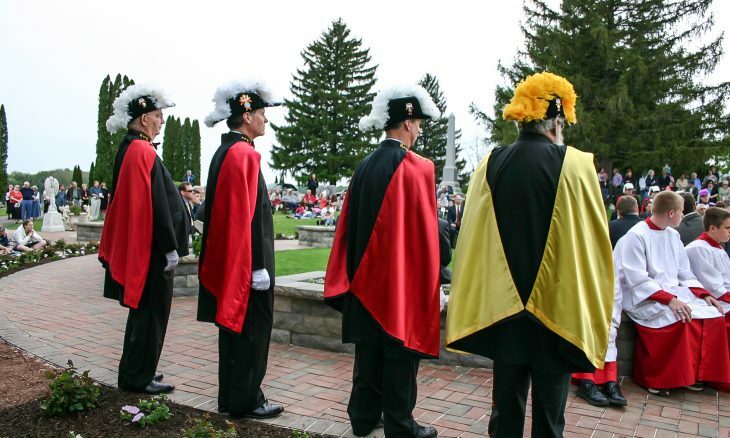 Fraternity — From its inception, the Knights of Columbus has helped members and their families with insurance and financial programs to ease times of grief and distress. Patriotism — The principal of the Fourth Degree, patriotism shows that Knights are proud, active citizens with a love for God and country. Membership is open to practical Catholic men age 18 and older. To learn more or inquire about joining Council 16079, contact Brian McMichen.